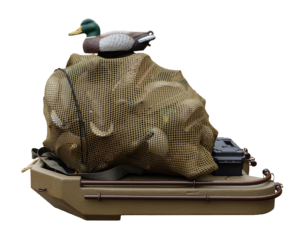 Delta Decoy Sled | | Rhino Building Products, Inc.
Our Delta edition is the most universal edition, eyes for tying around the trees in the marsh but if you are not around a tree it also uses the same eyes and another pair of eyes for staking into the mud completely around the sled. 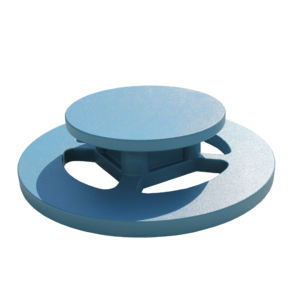 Also while the sled is primarily for your hunting dog to sit on if the water is too cold and your kids are hunting with you you can get them up on it. 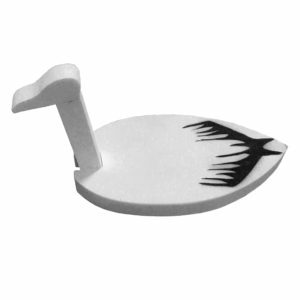 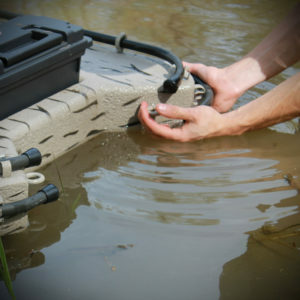 It also enables you to tie up decoys and keep you hands free while walking through water. 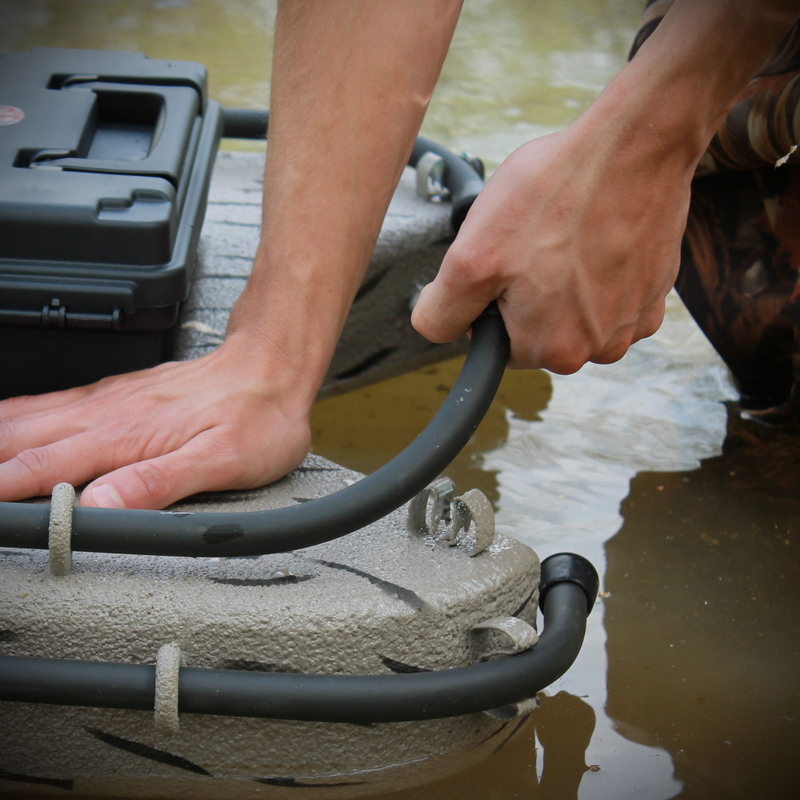 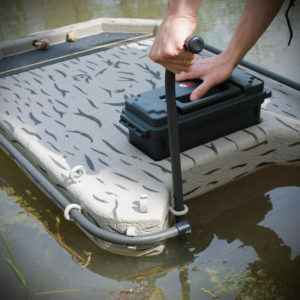 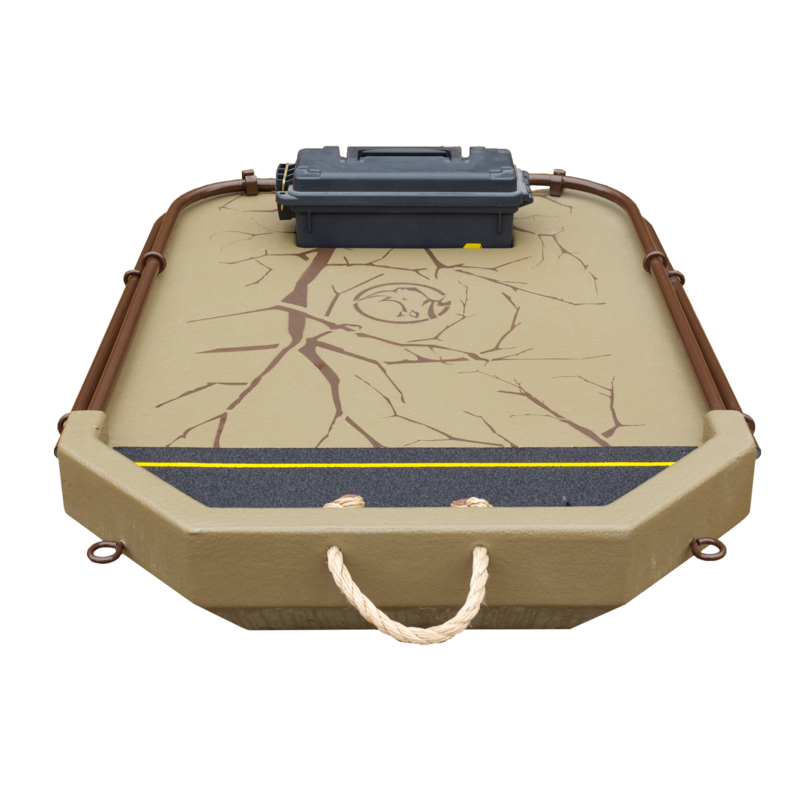 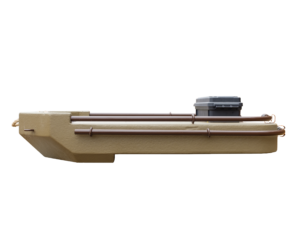 Check out the versatility of Our Delta edition Floating Retriever sled! 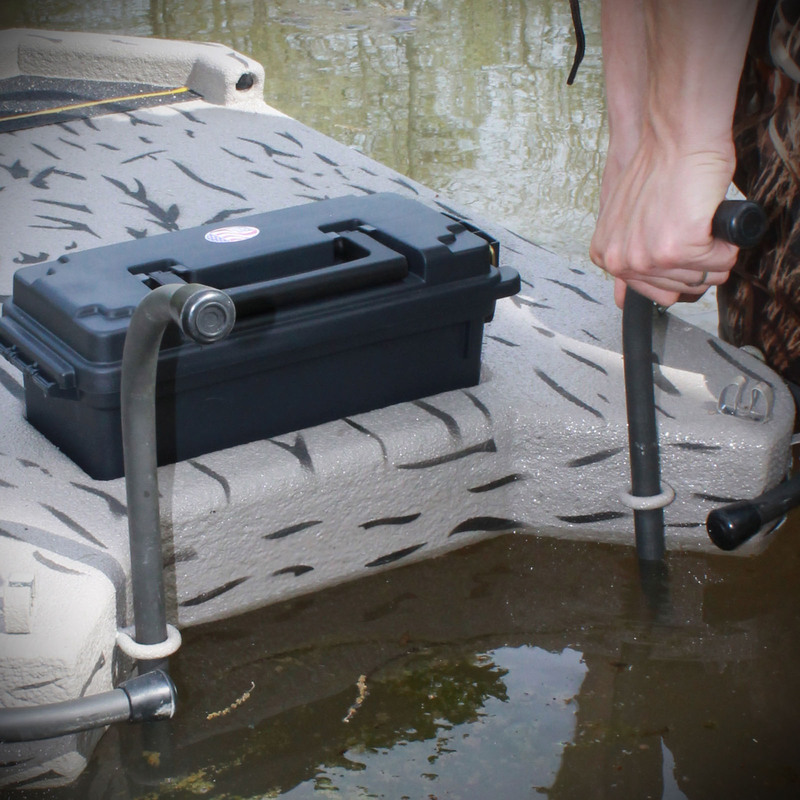 This is the perfect all-in-one package! 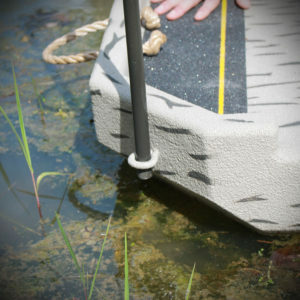 This sled functions both as a decoy sled and as a floating canine platform. 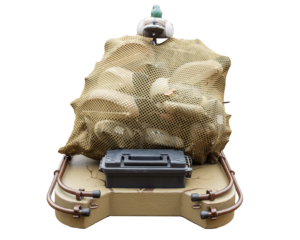 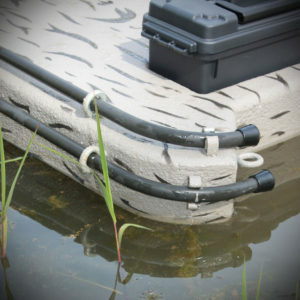 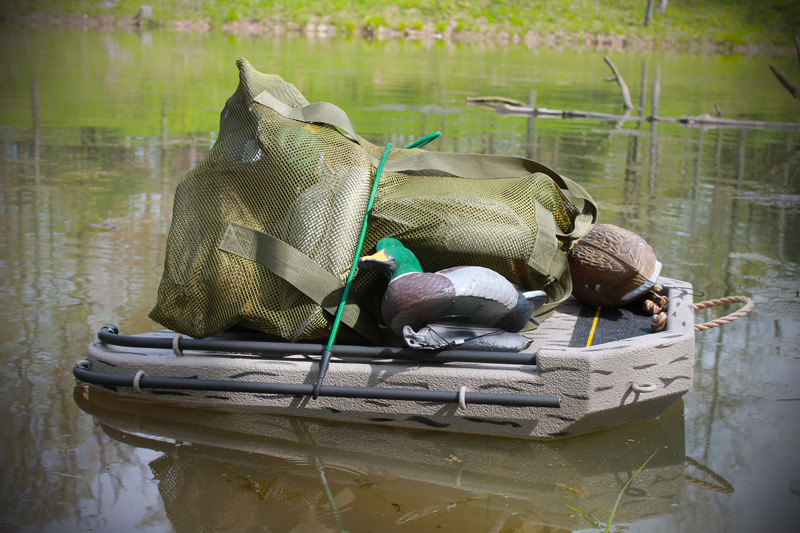 Changing water levels and a bulky decoy sled no longer need to complicate your duck hunt! 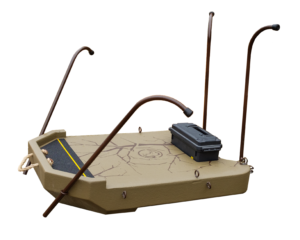 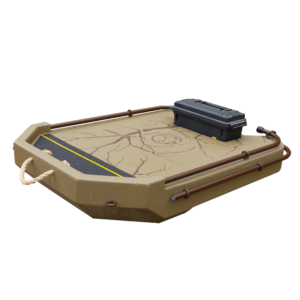 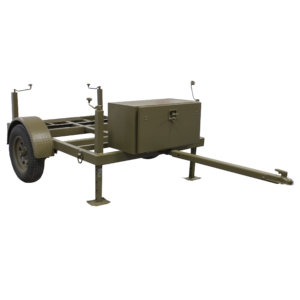 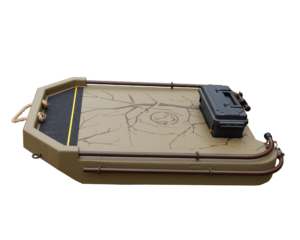 The convenient size of the Delta Decoy Sled allows for flexibility of hunting location. Are you ready to discover a new level of efficiency? 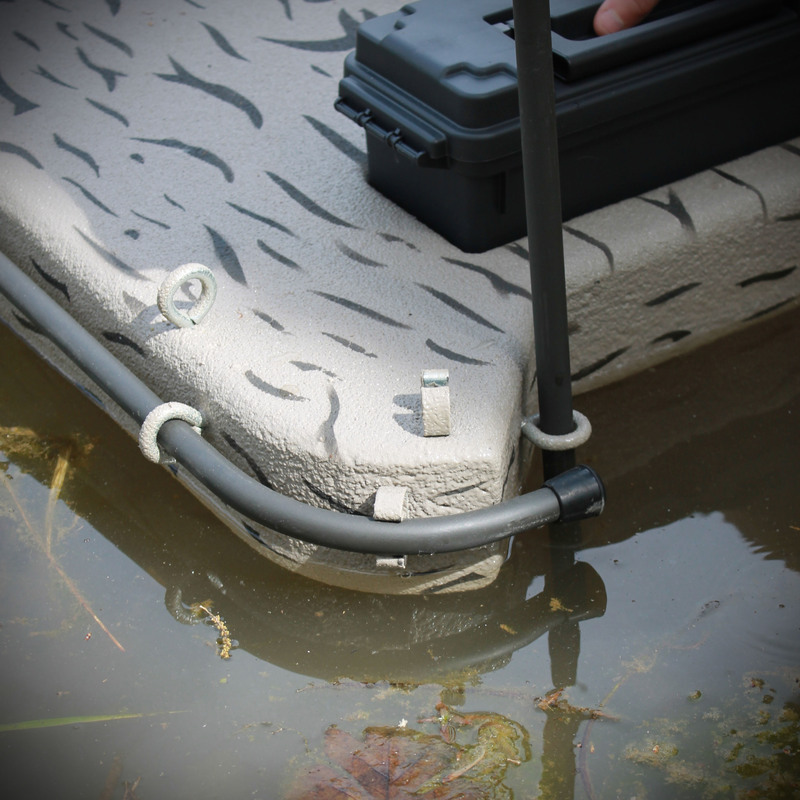  After purchasing your Rhino Building Products Delta edition sled, there are a few simple steps to help you get the most from the product. 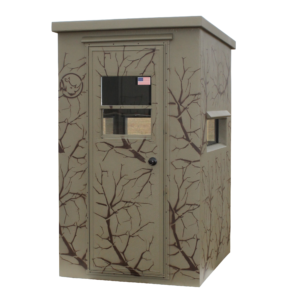 The delta edition is slightly smaller of the two models however it is our most popular model because of its flexibility in the location in which you may hunt. Step 5: grab the rope handle, which is attached to the front of the sled and drag the sled to the location in which you wish to unload the decoys. 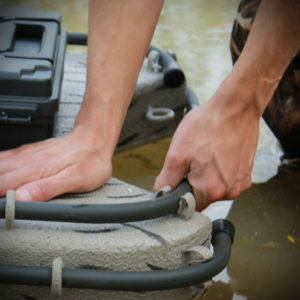 Step 8: after unloading the decoys, the “V” shape notch located at the rear of the sled is then pushed up against a tree. locate the four eye screws. Attach a bungee cord to any one eye screw located at the rear of the sled and go around the tree and attach to the opposite eye screw. Remove any two rods and insert at an outward angle through the two eye screws located at the front of the sled and down into the ground.